A Louisiana native, Dr. Miller graduated from Louisiana State University School of Veterinary Medicine in 2001. She has practiced in the Washington, D.C. area as well as in Texas, but she’s happiest here at home. 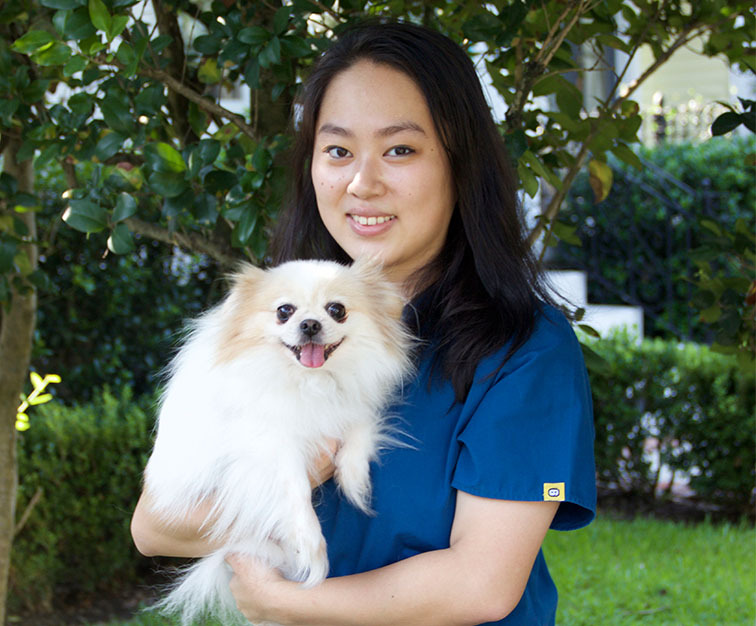 In business since 2006, Dr. Miller opened UVH in 2012, and has grown to love working with her clients and their pets. “For me, it’s most important to be honest with my clients, to give them the time they deserve. Their pets are their children; they're part of the family,” says Dr. Miller, who was featured in Gambit’s 40 under 40. Outside of veterinary medicine and surgery—Jessica likes to travel and loves spending time in her garden and out on the water. On weekends you might find her reading the latest novel, or more likely: re-reading her favorites over and over again. 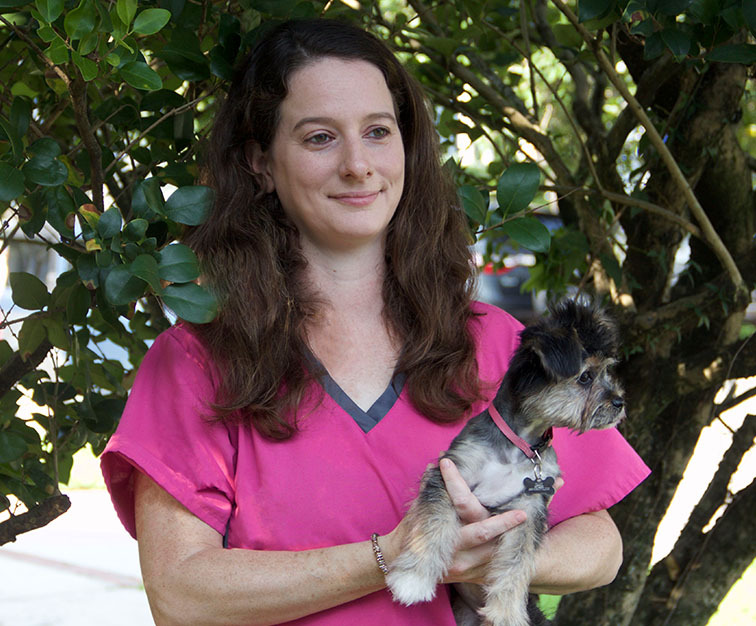 Natalie has been with Uptown Veterinary Hospital since it opened in November of 2012. She takes on multiple roles at the hospital and strives to make every pet feel loved. She has a full house with four sons: Anthony, Dominick, Dane, and Damian—as well as several furry family members. Natalie loves to spend time outdoors with her family and pets. Maddy is a California native who moved to New Orleans in 2014 and recently graduated from Tulane University. She has worked with animals everywhere from the Audubon Zoo to the Bambelela Wildlife Sanctuary in South Africa. And though she has experience with exotic animals like rhinos and giraffes, Maddy really loves working with the cats and dogs who come to UVH. But of course, her own cat, Mia, holds a special place in her heart. Originally from Westchester, NY, Yiran graduated from Tulane with a B.S. in Neuroscience in 2015. Especially interested in birds and exotics, she hopes to study veterinary medicine with a focus in that field. When she’s not hanging out with UVH boarders and Play Day dogs, Yiran enjoys cooking and reading in her spare time. An Environmental Biology major at Tulane University, Lucy plans to pursue a career in conservation and wildlife management. The Austin native recently worked in El Paso studying Mexican Duck ecology and genetics in the Chihuahuan Desert Biodiversity REU program. Back here in New Orleans—in addition to cuddling with her cat, Jade—Lucy likes hiking, birding, kayaking, reading, drawing, printmaking, baking and listening to podcasts.